We supply and install Perfect Fit blinds in Lostock for all rooms and doors. Once you have decided on the Perfect Fit system you need to choose the fabric that best suits your new decor. We have a wide range of colours and textures to suit any home. 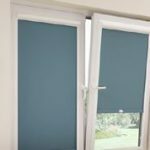 The Perfect Fit blinds are so snugly fitted that there are very few if any gaps at the edges so that outsiders cannot see into your home. The blinds move with the doors and windows and are especially good on tilt and turn windows. They are child and pet-friendly with no loops and loose cords. This makes them perfect as conservatory blinds and they are available in many different colours and fabric choices. If you are having a conservatory built then you need to contact us. In Lostock, Perfect Fit blinds are the most elegant and stylish window covering available. They come in a wide variety of styles, designs and colours. We can make them up as pleated, roller or Venetian blinds. They fit snugly to the wall with no drilling or other methods of fastening. They fit perfectly because our team measure the exact size so that they stay in place even when fitted to the top of a conservatory. You choose the type of blinds you like and we make them for you in the material of your choice. Our blinds are made especially for you and are unique. From the measurement of the frame to the manufacture of the blinds, we ensure that every step is carefully monitored. The Perfect Fit blinds in Lostock are one of our most popular ranges of blinds. Contact Bolton Sunblinds today or visit our showroom to see the wide range of blinds we stock. 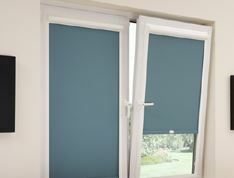 With over 45 years of experience in fitting the right blind to the right customer, we are perfectly able to assist all our customers. We use only the best quality materials for our blinds and maintain a high standard throughout our range. Blinds can be made up by measuring your windows so that you have the exact size and shape you require. We manufacture and install all our own blinds so that we can be sure our high standards are maintained.